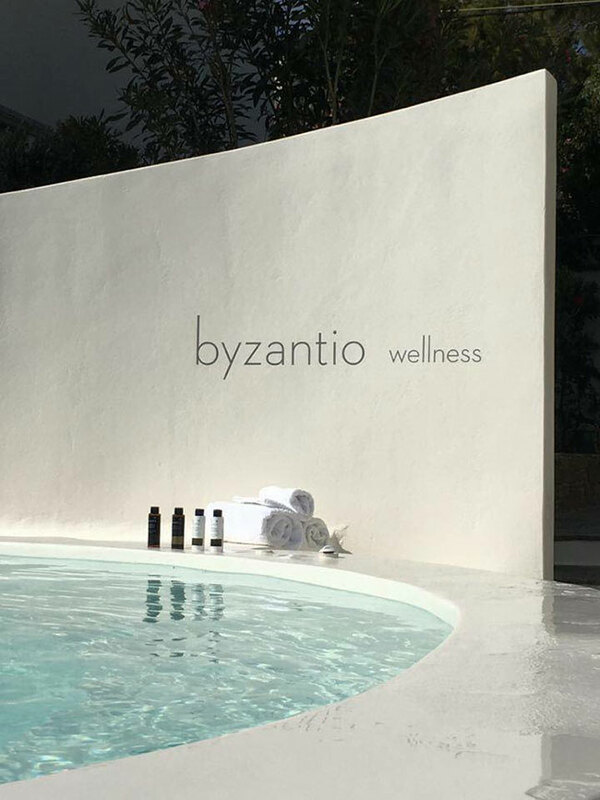 Byzantio Beach Suites & Wellness on Tinos Island offers all the necessary Facilities & Services to make your stay most enjoyable. 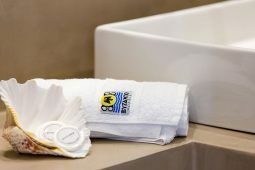 For the comfort of its guests we continually introducing new service standards for those who are seeking a warm, peaceful and familiar environment next to the sea with upscale services and amenities. Among many facilities that the hotel has to offer, guests adore “Kapari” restaurant, Byzantio Wellness and the wind – protected organized beach with sunbeds and umbrellas. 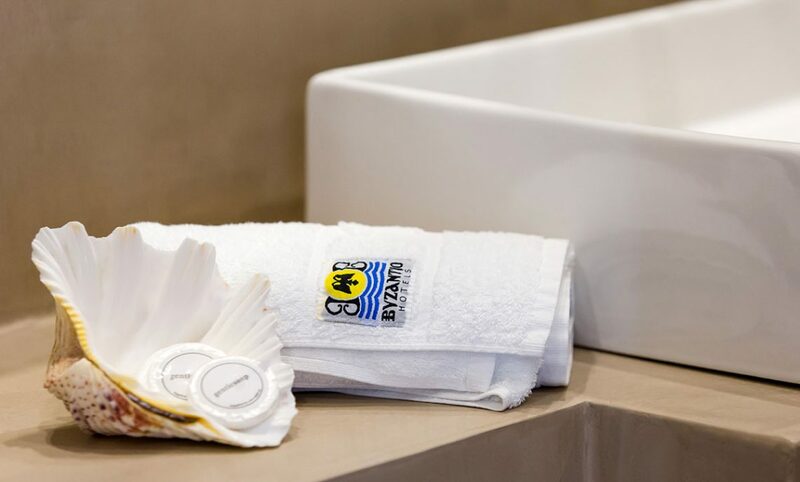 Take a look at the Service & Facilities list below offered by Byzantio Beach Suites & Wellness and contact us if you require a service not listed here. Byzantio Beach is located on the dazzling beach of Agios Sostis beach where you can listen the whispering sound of waves. All apartments have sea view and big veranda with a wide panoramic view, overlooking the Aegean Sea. 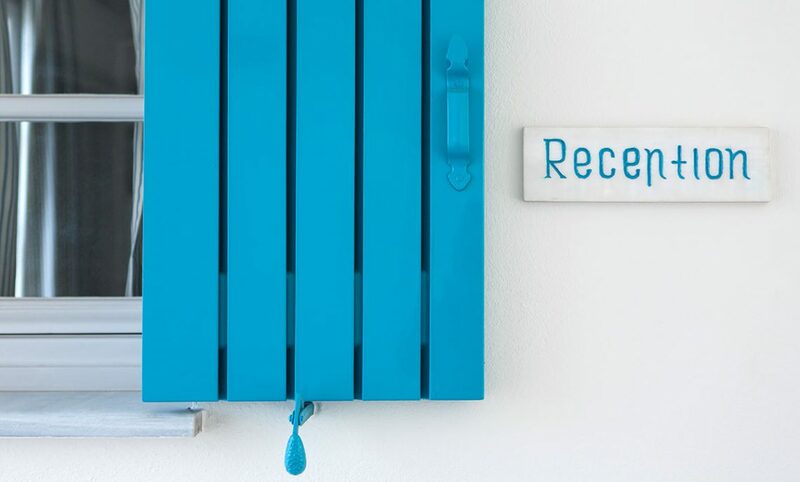 For a taste of unpretentious relaxation, be our guest and enjoy your private umbrella & sunbed in one of the most wind-protected beaches of the island. We are Aqua Lovers! 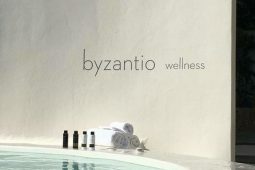 Byzantio Wellness is our brand new Jacuzzi with wide panoramic view overlooking the Aegean Waters and Cyclades. We are a family friendly hotel. 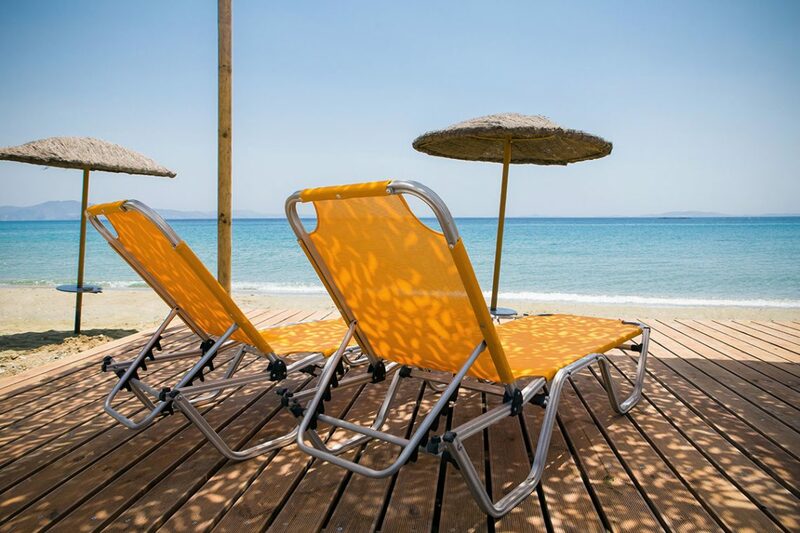 Both children and adults are welcome to relax on a beachfront oasis in Tinos Island. The great range of family apartments, sea view rooms, easy access to the beach along with upscale services give families the quality of living some unique family moments. Guests are invited for breakfast in a light and airy setting to start their day with mindfulness relaxing music. The “KAPARI” restaurant shares the same area where guests can taste finest traditional dishes focused on local products. All the suites & studios include kitchen, household commodities, mini cooler, shower with all the necessary accessories and amenities, A/C, LCD TV, telephone, hair-dryer and safe deposit box. We recently renovated our suites and studios with the respect of Cycladic architecture, where relaxed ambience meets modern comfort. There is Free Wifi Internet Access in all apartments and in all common areas of our hotel. You can enjoy your breakfast, brunch, lunch or dinner in the comfort of your suite & studio without any extra charges. Make yourself at home with the satellite TV where you can watch the News or a movie in your language. Sleep is the most important thing during the holidays. Our studios & suites have built bed platforms with high quality mattresses and pillows. Our hotel offers you daily housekeeping. 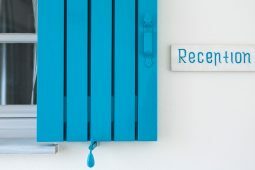 We are here to help you have everything you need for a pleasant stay in our hotel and Tinos Island, by booking reservations for a ferry, taking a tour on the island or having clothes laundered and ironed and much more. You can park your car, motorbike or bike without any cost in our private parking. Upon request you can rejuvenate your body with a massage at the herbal garden with the palm trees, at your sunbed or in the comfort of your balcony overlooking the Aegean. We love animals as you do. Upon request you will enjoy your holidays with your pet.